Serving Vancouver and beyond for the past 20 years, Leading Edge AV is known as an industry innovator. We can source the best prices from the top suppliers, ensuring you get the best event possible while staying within your budget. We offer unique event and meeting solutions, including engaging creative content and wireless responder systems that transform standard PowerPoint presentations into an effective two-way communications tool that captivates your participants’ attention. We’ve got the details covered – we can provide our clients with room layouts, entertainment, décor and whatever else you require to provide your audience with the best experience possible. Before starting up in 2003, Leading Edge Audio Visual founder Dave Page, spent over 15 years working in all aspects of the industry; from hotel technician to technical director to branch management. 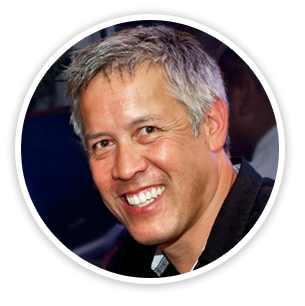 Dave brings his high level of expertise and attention to detail to every project Leading Edge Audio Visual are involved in. You can trust Leading Edge Audio Visual to provide the best solutions and advice for all of your meeting and special event needs. Technical direction, stage management, audio and playback by Leading Edge Audio Visual Services. Stage management by Leading Edge Audio Visual Services Ltd. Thank you Second Stage Management Services for inviting me to play a small part in its success! A “That 70’s Show” style light show opening for CloudNativeCon + KubeCon – Europe 2017. Thanks once again to tantalusproductions.com for continuing to make us a part of your production team! Book our audience response system to further engage your audiences. Ask us how an ARS system can help you get the most out of your meetings! Light show opening for CloudNativeCon + KubeCon – Europe 2017. Book our audience response system to further engage your audiences and get the most out of your meetings! Light show opening designed for CloudNativeCon + KubeCon – Europe 2017.